Kathmandu with Jungle safari, Nepal Alsace company offers you the journey of precious world heritage site of Kathmandu to the jungle safari of lower subtropical inner terai land of south-central Nepal. 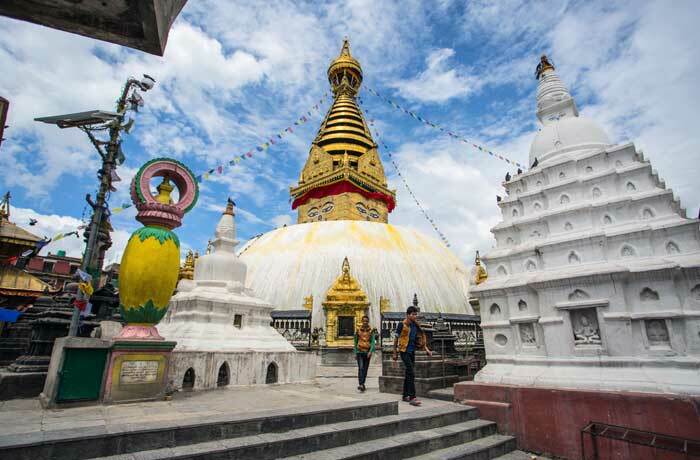 Kathmandu is center of Nepal’s culture, history, art, and economy so the tour of Kathmandu allow you to understand and learn more about Nepal by visiting the Historical Museum, famous holly pilgrim for Hindu like Pashupathinath and the Buddhism pilgrim Boudhanath and Swyambunath to explore more about Nepalese religion culture. 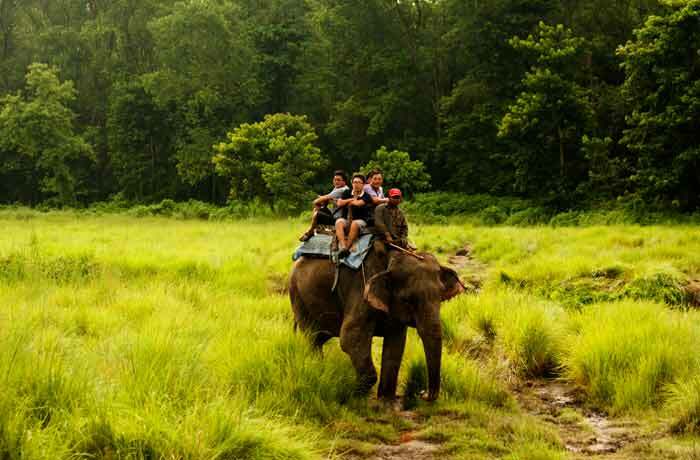 Kathmandu with jungle safari not only include a tour of capital also it leads us to the hot and humid southern part of Nepal where we can have jungle tour to enjoy the wild animals like rare one horn rhino, Bengal tiger and much more flora n fauna. Jungle safari also provides us the opportunity to learn about the people living in the Tarai part who are influenced by Indian society because of easy asses to border. Overall the Kathmandu with jungle safari offers numerous opportunities to explore and learn more about Nepal is a different perspective. Usually, the tourist comes to Nepal to visit Mountains and expedition so this sight seen with jungle safari can be the unique experience and perfect for those who are willing to learn about Nepal without visiting high Himalayan. Kathmandu with jungle safari, Arrival at Tribhuvan International Airport, Kathmandu and transfer to the hotel and Evening typical welcome dinner accompanied by Nepalese cultural show and including the hotel. We start our program After having our Breakfast your sightseeing program cover The medieval city of devotees and the well preserved old cities of Kathmandu Valley. From here we visit two very important religious centers: Pashupatinath temple for the Hindus, nearby along the banks of the river Bagmati is the cremation area for the dead. Bodhnath is possibly the largest stupa in the world and a center for Tibetan school of Buddhism. From here we visit Swoyambhunath Stupa, on top of a hill overlooking Kathmandu valley if time permits us to visit back to the hotel include the hotel in Kathmandu. 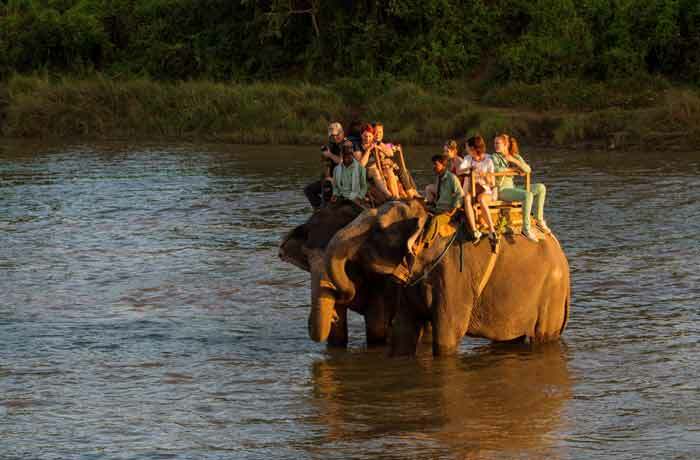 After breakfast, we travel by Tourist bus to the Royal Chitwan National Park, our destination for jungle safari. We arrive in our jungle resort and check in at our hotel. We begin our safari activities after lunch with a briefing, and hotel include Jungle lodge with dinner. We continue on our wildlife pursuits this day is canoe ride and jeep ride in pursuit of myriad flora and fauna including the one horn Rhinoceros and the Royal Bengal Tiger which are listed as rare animals of World. In the evening we have some cultural entertainment include Jungle lodge with breakfast, lunch, and dinner. Next day we drive back to Kathmandu. Arrival at Tribhuwan International Airport, Kathmandu. A traditional warm welcome to you, Briefing about the package in the hotel. Day 2 : Sightseeing to Kathmandu Valley. After Breakfast your sightseeing Kathmandu Valley and back to the hotel hotel in Kathmandu. After breakfast Tourist bus to the Royal Chitwan National Park. Day 4 : Foul day programs at Chitwan. We continue on our wildlife pursuits today is canoe ride and jeep ride in pursuit of myriad flora and fauna including the Rhinoceros and the Royal Bengal Tiger. In the evening we have some cultural entertainment include Jungle lodge with breakfast, lunch, and dinner. Day 5 : 5/6 hours from Chitawn-Kathmandu. After breakfast by Tourist bus to Kathmandu and transfer to the hotel. Day 6 : Departure day. After breakfast transfer to the Kathmandu airport for your departure. Hotel in Kathmandu 3 Nights with bed and Breakfast. Privet transport Kathmandu valley Sightseeing with our City Guide who speak English, French-German, Italian and Chinese. Entry fee of Pasupatinath-Budhanath and Swymbu. In Chitwan 2 Breakfast, 2 Lunch and 2 Dinner. Your Travels insurance policy if accident.